SAVE THE DATE! 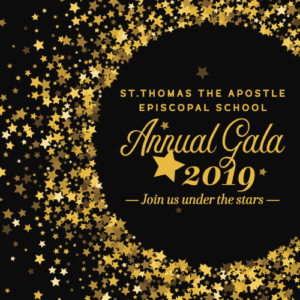 The 2019 St. Thomas Gala is Just Around the Corner! The Gala is fast approaching!! 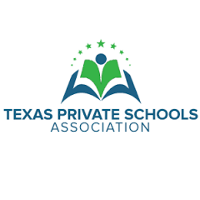 RSVPs & Table Seating Please get your RSVPs turned in ASAP and back in by the February 18th deadline. Remember, all reservations are on a first come basis and will be confirmed when payment is received. Tickets are $75 each. Cocktails and Silent Auction viewing will begin at 6:30 pm with dinner at 7:30 pm. Please note that a sit down dinner will be served and seating will be assigned with 12 guests at each table. If you wish to pair up and sit with other parents or guests, please make note on your RSVP card or drop us an E-mail (mmicheli@peoplepc.com, meredith@levineandco.net) with your requests. We will do our best to accommodate your requests but can make no promises. Lastly, if you have not received an invitation, please let us know ASAP. There will be a live band, Password, for your music and dancing pleasure! Auction Donations Please get all donor forms and auction items turned in ASAP and no later than Wednesday, February 6th! If you have an item to include past the deadline, please drop us a note and let us know the situation. A special thanks to all of those who have contributed thus far. We have an array of wonderful items and a special sneak peak preview coming in February! Class Baskets & Childrens’ Art Projects This year each class will have a class basket or class art project available at the Gala to bid on. These are always the most fun items in the silent and live auction! Babysitting A friendly reminder that we will NOT be offering childcare at the school this year, so please make other arrangements.